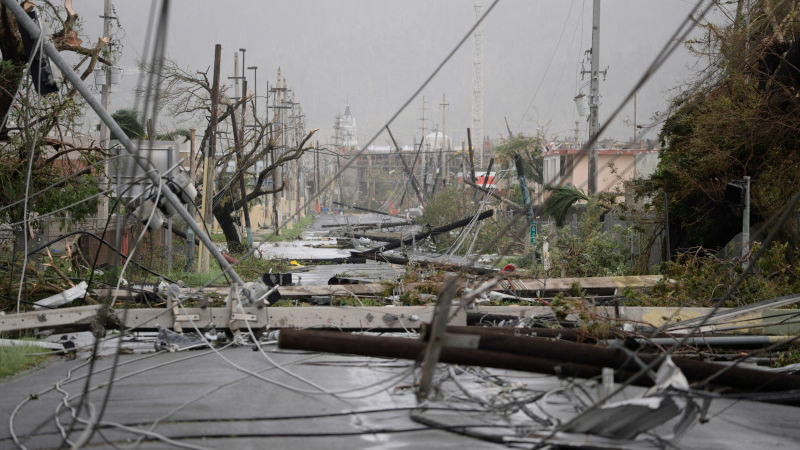 Episcopal Relief & Development is providing critical emergency supplies to the British Virgin Islands in collaboration with Convoy of Hope and the Episcopal Diocese of the Virgin Islands following the devastating impact of Hurricanes Irma and Maria. Convoy of Hope is a faith-based humanitarian organization located in Missouri. The Episcopal Diocese of the Virgin Islands is present on St. Thomas, St. Croix and St. John in the US Virgin Islands and Tortola and Virgin Gorda in the British Virgin Islands. Critical supplies, including food, two portable kitchens, two refrigeration containers, 350,000 gallons of drinking water, 9,900 gallons of gasoline and diesel fuel, tarps, plywood and nails as well as hygiene and infant care kits, arrived in Tortola on September 28th. Clergy and lay leaders of the diocese collaborated with Convoy of Hope staff to gather and allocate supplies and ensure that necessary items were shared with vulnerable families with the greatest needs. Many residents are still without electricity, running water and telephone service, leaving them isolated after both hurricanes devastated the Virgin Islands. Homes, hospitals and other buildings were destroyed, roads damaged beyond repair, trees uprooted, and essential services wiped out by the ferocity of these storms. After Hurricane Irma made landfall in early September, Episcopal Relief & Development has been working closely with the Diocese of the Virgin Islands to provide immediate assistance where the Church has a presence. The islands rely heavily on tourism and with restaurants, docks and resorts destroyed, the path to recovery is expected to be a long one. Contributions to Episcopal Relief & Development’s Hurricane Relief Fund will help support church and other local partners as they provide critical emergency assistance to those most in need.